We simplified Cooke & Arkwright's brand identity, making it stronger and more modern, with a vibrant colour palette. 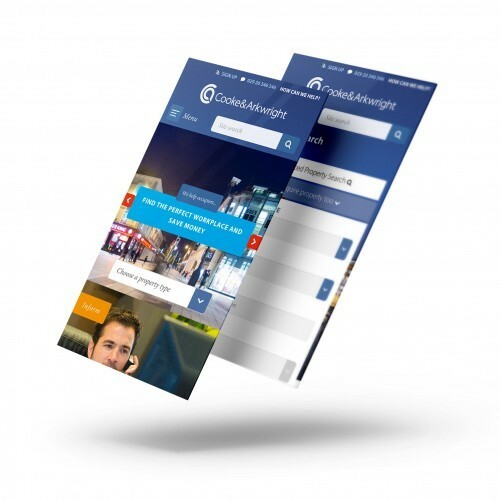 As part of this process we designed and built a website for them, which utilises innovative functionality, which ensures the site is always kept up-to-date with new properties, plus e-commerce functionality so that tenants can pay their rent online. 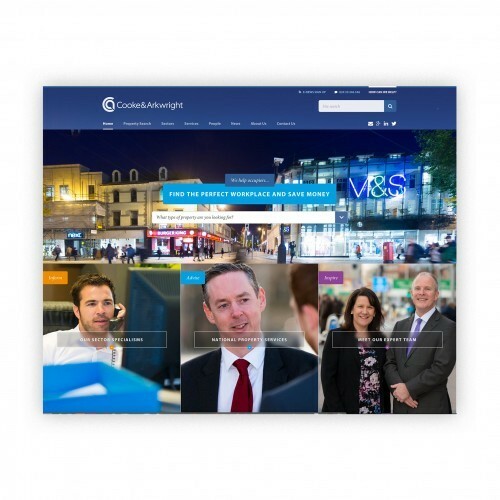 The homepage consists of large blocked image areas immediately drawing users in with bright vibrant colours and images of warm, approachable staff. The blocks break down nicely if a user is on a mobile device. 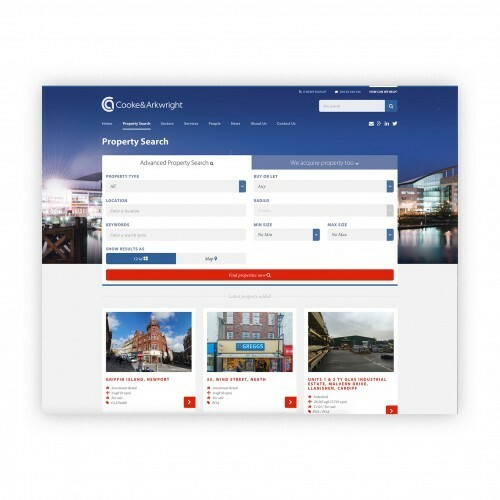 The rest of the site uses fresh UI elements which help the user locate what they require, be that information about property, developments, staff members or news articles.